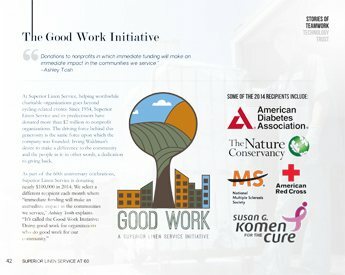 We’re honored that Pennsylvania-based Dempsey Uniform & Linen Supply, whose 50th anniversary book we created, recommended us to their colleagues at Superior Linen Service in Tulsa, Oklahoma. For Superior Linen Service’s 60th anniversary, we wrote a different kind of book—not a chronological narrative, but a collection of stories about teamwork, technology, and trust. 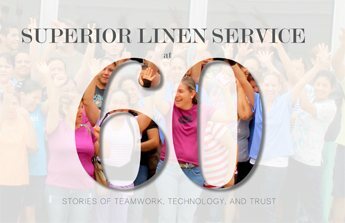 Family owned and operated since 1954, Superior Linen Service delivers exceptional linen and facility service programs to more than 3,000 customers across Oklahoma, Arkansas, Southern Kansas, and Southern Missouri. Because no two businesses are alike, it doesn’t offer “one-size-fits-all” rental programs for customers. 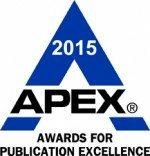 Instead, it goes one step further by creating custom programs that are tailored to their specific needs. We wrote the company’s history in the same spirit! 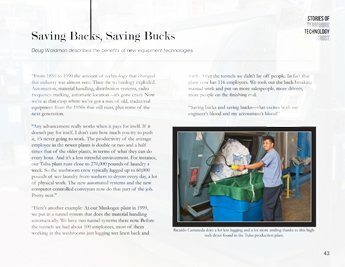 By writing this company’s history as a series of stories that focus on teamwork, technology, and trust, CorporateHistory.net met Superior Linen Service’s tight deadline. Every Superior Linen Service facility has been awarded the Hygienically Clean Healthcare certification, which recognizes companies that are committed to cleanliness through third-party, quantified biological testing and inspection.